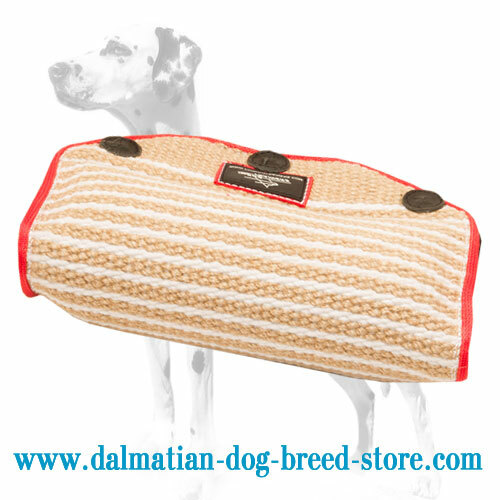 Do you want your Dalmatian to be a strong and well-balanced dog? Then trainnig him / her is a MUST. A well-trained dog is not aggressive to other people until there's no danger. Moreover, he or she will become your personal defender and personal proud first prizes at the championships. Train your dog like a pro with this strong, reliable and convenient Dog Bite Builder. It will become your favorite item to train your pet with as it is very easy to hold, very easy to care for and very easy to achieve results with! Why should you buy this extra-strong Dog Bite Builder? This dog supply is meant for police, miitary, IPO and Schutzhund training. 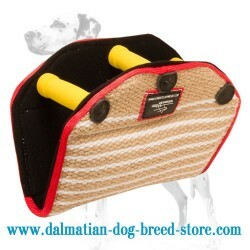 It is a good item to train your dog's bite strength and proper grip angle. The item is euipped with 3 plastic easy-to-grip handles that are padded to prevent rubbing on the palms. These handles help you control the bite angle during training process. Moreover, you can take the side handle and take the item aside. The dog will jump high trying to catch it. 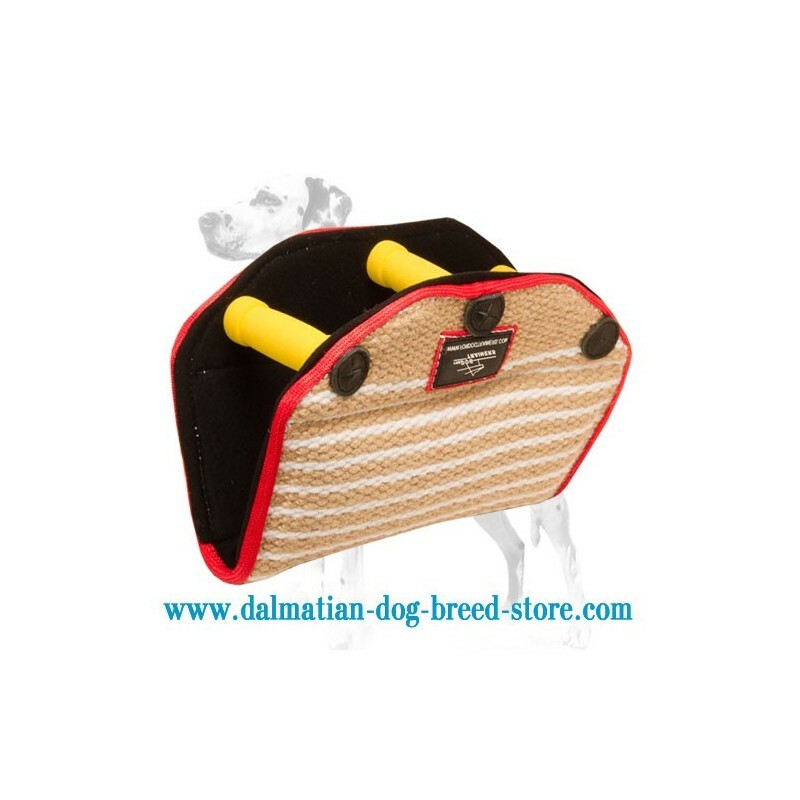 This Bite Builder is made of Jute, that is not only safe for your dog's health, but also strong and tear-resistant as well. This Bite Developer has no metal or plastic parts, so your dog won't get hurt while biting it.